Update: We just found the Baytek 3000mAh Portable Light-Weight Powerbank (made of wood) for only $10 Prime shipped with code AP87DCFY used at checkout. 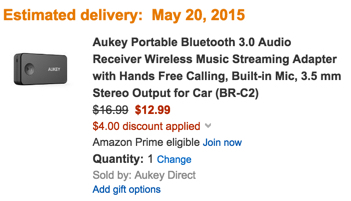 Amazon has the Aukey Portable Bluetooth 3.0 Audio Adapter for $16.99. The code: 8GPLB4WZ used at checkout drops the price to only $12.99 Prime shipped. That’s $4 off the already low sale price, $22 off the list price and the lowest we can find. This highly rated Aukey adapter makes just about any headphone, speakers or stereo into a Bluetooth ready device. So now you can stream music from your smartphone within 33ft. 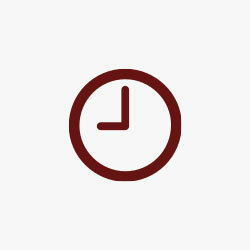 to your old system. Also, you may want to look at the iClever In Car Universal Wireless FM Transmitter with USB Car Charger for $14.99. When you use the code: 5ZXNOVLK at checkout, the price drops to only $10.99 Prime shipped. That’s $37 off the list price and the lowest we’ve seen in months for it. 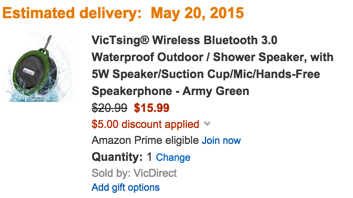 We also have the VicTsing Wireless Bluetooth 3.0 Waterproof Outdoor/Shower Speaker in Army Green for only $16 when you use the code: 9IGOMYEA at checkout. That’s $4 off the regular price, $63 off the original list price, and the lowest we can find.